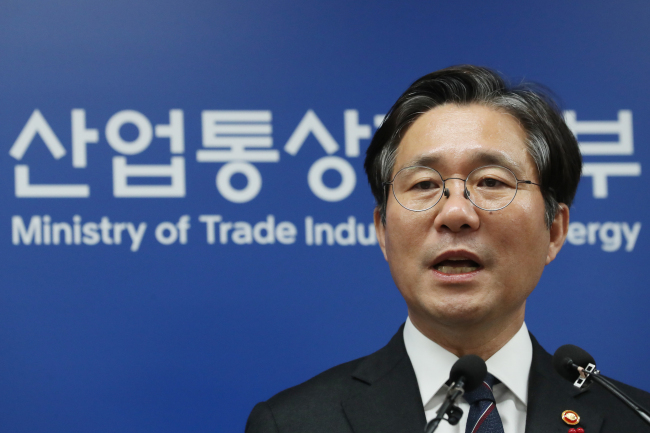 The South Korean government on Thursday announced its blueprint for the so-called regulatory sandbox program, which centers on encouraging local companies to seek innovation and new opportunities by providing them with more freedom and less control. "A regulatory sandbox is a policy that seeks balance between fostering new technologies or industries along with promoting public values, such as lives and the safety of the people. Eventually, it aims to set up a precise and safe regulatory plan," the Office for Government Policy Coordination said. The South Korean government has been promoting the concept of a regulatory sandbox as one of the key measures to encourage startups and to foster new growth engines. The idea is aimed at allowing companies to set their eyes on new industries to operate freely from excessive regulations. The government's latest regulatory sandbox program centers on speeding up the process of winning approvals by paving the way for firms to launch new services and goods first, and apply reasonable regulations later. The first set of three new policies will kick off next Thursday. Under the plan, the government will first provide companies with information on whether their new businesses collide with regulations in 30 days when requested. If the government does not respond within the deadline, the firms can assume there are no existing rules covering the enterprise. If regulations do exist, the government can give companies exemptions with provisions added. For example, if a company cannot carry out tests on a certain service due to regulations, like activating self-driving cars on roads, the government can give a nod to help them conduct examinations. After such tests, companies may be granted with either a temporary or an official approval for the goods or services in the country, with the government also seeking to adopt more reasonable rules. For cases in which regulations are ambiguous or can be seen as being irrational, the government will give temporary permission, eventually to give an official approval by revising the law. Concerning criticism that such hasty deregulation may be a potential threat to the safety and well-being of the people, the government highlighted that the judging committee of the regulatory sandbox program will thoroughly check the potential impact of such new businesses. If threats to safety are found or an actual accident takes place because of the deregulation, the government can immediately cancel the approval. The government said it will, moreover, make it mandatory for companies to purchase related insurance programs and adopt tougher rules against the firms in case their new businesses incur damage. The government said both companies and consumers can benefit from the regulatory sandbox program, as firms are provided with a more advantageous environment to seek innovation, and consumers can benefit from new services and goods. The government can establish more rational regulations from the program, it added. The Ministry of Trade, Industry and Energy, and the Ministry of Science and ICT said around 20 companies have already applied for a review on their products and services. The first examination meeting will take place in February.